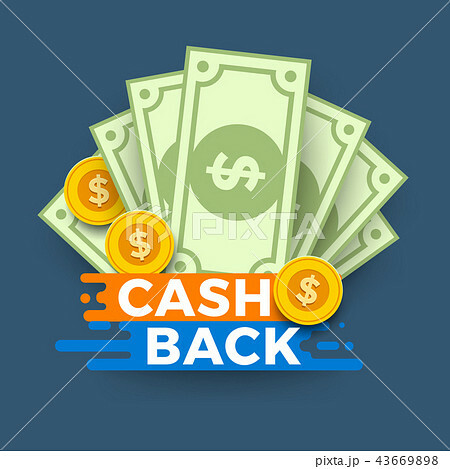 Vector illustrations concept cash back or money payment. Present with bank paper and coin. Flat design illustrate.